The 1795 model is a cost effective, high power, regulated DC power supply with an output rating of (0 to 64V, 0 to 15A). 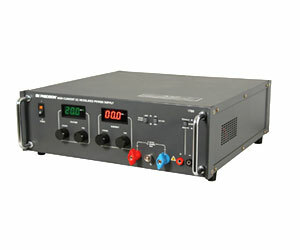 It is a linear high current DC power supply suitable for bench operation or standard 19" rack operation. This linear power supply is a high power workhorse that will easily deliver clean power to your high current circuits.